Richard Albanese is an experienced former prosecutor who provides exceptional representation for individuals charged with misdemeanor and felony crimes. Richard also represents clients in traffic Matters such as DUI, OWI, Speeding Tickets, and Traffic Accidents. Richard is licensed to practice law in both Illinois and Wisconsin and routinely represents client interests in both states. I Live in Illinois but got Arrested or Charged in Wisconsin for a Felony or Misdemeanor or Ordinance Violation, do I need a Criminal Defense Attorney licensed in Illinois and Wisconsin? The Richard Albanese Law Office routinely represents citizens of Wisconsin and Illinois that are charged with Misdemeanor and Ordinance Violations in Wisconsin. For the Wisconsin client the law is pretty straight forward, as the laws of the state apply to the Wisconsin citizen without worrying about how another state may view a particular offense. The more difficult situation arises when an Illinois resident is arrested or charged with a misdemeanor or ordinance violation in Wisconsin. The reason being is that the client must be concerned not only with Wisconsin, but the effect a Wisconsin Sentence may have in Illinois. This blog post will explain some of the basic differences between the States and some issues for a potential interstate client to consider. The first major difference in Wisconsin compared to Illinois is that the disposition of “court supervision” exists in Illinois as an option to sentence first offenders for garden variety misdemeanors such as battery, Retail theft, Criminal Damage to Property, Disorderly Conduct and others. Illinois law recognizes people make mistakes and the law allows for a mistake so long as it is not too serious of a crime or circumstance. Wisconsin Law has other options for dealing with first offenders, but court supervision is not one of them. Every guilty disposition in Wisconsin on a misdemeanor offense will result in a conviction. An Illinois citizen who faces a misdemeanor charge in Wisconsin should be aware of this fact as it can have devastating effects down the road. Why does it Matter if I Live in Illinois and get a Misdemeanor Conviction in Wisconsin? A common question I answer all the time for clients is, “How will this misdemeanor case affect my future?”. The misdemeanor conviction in Wisconsin can have devastating effects on a client’s career and education aspirations. If a job or school application asks, “Have you ever been convicted of a criminal offense?”, and you have a Wisconsin Misdemeanor conviction the answer the client must put down is “Yes”. If the same exact crime is committed in Illinois and a client gets court supervision and successfully completes the supervision the answer to the same question is “No”. That is a huge consideration to think about when hiring an attorney if you live In Illinois and got a misdemeanor charge or arrest in Wisconsin. Richard Albanese is licensed in both States and routinely handling cases in both Illinois and Wisconsin gives the Richard Albanese Law Office the ability to advise an Illinois client of important points a Wisconsin client may not have to consider. The good news for the Illinois client who is charged with a misdemeanor in Wisconsin is that despite the lack of supervision as a sentencing option there are other options for disposition than just a conviction. A skilled Criminal Defense attorney handling cases for Illinois clients in Wisconsin as well as Wisconsin residents will always fight for an alternative disposition to a criminal misdemeanor conviction. A “Hold Open” is the most favorable potential disposition for a Wisconsin criminal case. A Prosecutor may agree to hold open a case for a set period of time and if the defendant does not violate any other laws and completes certain other conditions the case will be dismissed. This is similar to a deferred prosecution but less forma in terms. As discussed at length in my other posts, deferred prosecution is also a disposition that is available for criminal offenses in Wisconsin and Illinois to defendants of both states. A deferred prosecution is a formal agreement that often requires a guilty plea to be entered and the defendant to waive certain rights. Once the terms of the agreement are met by the defendant, the case is dismissed and no conviction is entered. Wisconsin offers deferred prosecution agreements on many charges, including some felonies. If a deferred prosecution or a hold open is not available an ordinance violation alternative might be. Unique to the Wisconsin legal system is the ordinance disposition. In Illinois law a ticket or ordinance may be charged by a local Prosecutor but it is rare to see a felony or misdemeanor reduced to an ordinance. The benefit of the ordinance violation is that it allows a defendant to maintain a criminal conviction free record as an ordinance is classified as a non-criminal, fine only offense. These dispositions help young people who may be looking for jobs or college admissions. It is important to also keep in mind the decision to grant these dispositions rests with the prosecutors and judges. As a former Prosecutor Richard Albanese has a good sense of what may be required of a defendant to have the best chance to obtain these dispositions. 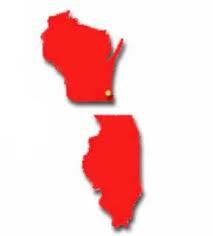 If I live in Illinois, do I need two Criminal Defense Attorneys for my Wisconsin Criminal Case? Thankfully, the answer is no. You need one criminal defense attorney who is licensed in both States and knows the laws of both States and what consequences a criminal case disposition will have for you in each State. The Richard Albanese Law Office bridges this information gap everyday for Illinois and Wisconsin clients who are not familiar with the Laws of their neighboring States. Richard Albanese is licensed to practice law in both Illinois and Wisconsin and offers exceptional representation across the States of Illinois and Wisconsin. Our office can answer interstate criminal case questions with confidence because Richard Albanese handles cases daily in both States and keeps up with the changes in laws of both States. Call today for a free consultation regrading any Criminal or Traffic case in Illinois or Wisconsin. The Richard Albanese law office can be reached at (312) 882-1973 or RichardAlbaneseLawOffice@Gmail.com or on the web at http://www.criminalandtrafficdefenseattorney.com. Many people charged with Chicago felony cases find themselves accused of crimes based on situations that occurred in the city of Chicago. Most people believe that their case will then be heard at the main criminal courthouse in Chicago at 26th and California. It can be quite a surprise for someone to learn that after an indictment or preliminary hearing a Chicago felony case is now assigned to a judge in Skokie. Some defendants are both surprised and angered when they learn they may have to travel to Skokie to face their charges for crimes that occurred in the city. The purpose of this post is to explain why some Chicago felonies end up in Skokie and what to do if you need a criminal defense attorney to handle your felony case in Skokie. Why is my Chicago Felony case in Skokie? As a result of large felony caseloads across the city of Chicago many cases get transferred to Skokie after preliminary hearing or indictment. There are enough cases assigned to Skokie that there are currently four full time courtrooms dedicated to handling Chicago felony cases only, these courtroom numbers are 107, 108, 208, and 209. That is double the number of rooms assigned for Skokie area suburban felony cases for crimes that occurred in the suburban towns such as Skokie, Evanston, Desplaines, Niles and many others. The felony cases that are assigned to Skokie come randomly from 26th and California, but generally originate out of Branch 50 at 5555 W. Grand Avenue in Chicago or Branch 42 at 2452 W. Belmont Avenue in Chicago. Once a felony case is assigned to Skokie it generally stays there even if a substitution of judge is requested the case usually will end up in front of another Skokie judge. When do I Find out if my Chicago Felony Case is Assigned to Skokie? How do I find a Criminal Defense Attorney for my Skokie Felony Case? Although on paper the laws remain the same across the State of Illinois there can be great differences in how cases are handled across Cook County. Wherever your case is you want a Criminal Defense Attorney who is familiar with all the ins and outs of a particular court. No attorney goes to all courts enough to know the rules and procedures or even how cases are handled by particular judges. If you want an experienced criminal defense attorney to handle your Chicago Felony case in Skokie you should look for criminal defense attorneys with the most experience practicing in Skokie. 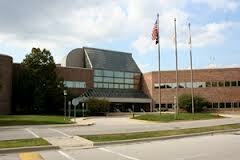 I served as a prosecutor in Skokie almost eight years of my career as an Assistant State’s Attorney. I served five years as a Chicago Felony Prosecutor in Skokie. I worked on a daily basis in front of several judges handling Chicago felony cases in Skokie that are still assigned to those courtrooms. I have handled literally thousands of these felony cases in my career and have argued countless motions as well as bench and jury trials in Skokie. I find myself very comfortable and confident handling all cases in Skokie and am happy to put my knowledge and experience as a former prosecutor to use for you defending your case. Please contact the Richard Albanese law office today at (312) 882-1973 for a free consultation. This is a guide from the perspective of an experienced former prosecutor to explain to you in a straight-forward, common sense manner how to obtain the best results with your criminal case from your interactions with police, lawyers, sheriffs to coming to the courtroom and beyond sentencing. Every criminal or traffic case begins with a police encounter from a simple traffic ticket to the most serious felonies but the same rules still apply. Most people may not recognize that their initial interaction with the police can largely shape the entire criminal case against them going forward. Always maintain a polite and non-aggressive attitude and demeanor with the police. Police are trained to recognize and control confrontations at all costs. Realize that police officers are human beings with emotions regardless of however strict or even confrontational they may appear to you. The key to remember here is NO PERSON WINS A CONFRONTATION WITH POLICE IN THE SHORT OR LONG RUN. 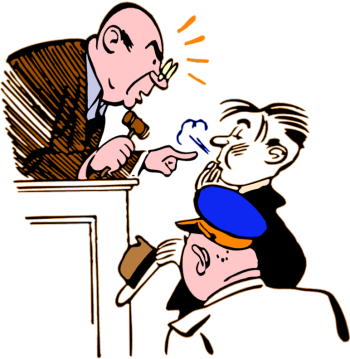 The police determine what to charge you with or what to recommend to the prosecutors. The police will document in their reports your demeanor, attitude, their opinions of what happened including EVERYTHING you say. Please keep in mind the police will largely shape and influence your case from the beginning to the end. While you should request an attorney in all misdemeanor and felony situations do so in a respectful manner and do not make admissions to anything that may come back to haunt you later. The success of your attorney in court has alot to do with you. Once you have hired an attorney you should tell your attorney every relevant fact concerning your case including how you were stopped or arrested, what potential witnesses there may be to the incident, what you told the police and what the police said to you, and your personal traffic and criminal history. Armed with this information your attorney will be in a position of strength when speaking to a Prosecutor even before the Prosecutor has given your attorney the police reports concerning your case. If you have an attorney you should not be speaking to a Prosecutor but perhaps your attorney is running late or a Prosecutor may ask you who you are in court. You should always remain polite and professional in even these minimal interactions as there is no need to give a Prosecutor a reason to have a negative impression of you that sets you apart from other defendants on the court call in a negative way. Please be polite. Perhaps the most important player in the criminal court process the judge may determine what evidence is heard in your case, whether you are found innocent or guilty, and what your potential sentence is. If you are to appear in court you should dress as formal and appropriate as possible. As a rule I would recommend wearing clothes you would wear to a funeral. The judge will be observing your dress and conduct in court and dressing appropriately demonstrates your respect for the court and that you care about your case. Your conduct in court is equally important. While you are sitting in court waiting for your case to be called turn off your cell phone, don’t read anything, talk, laugh, create distractions, or fall asleep in court. When your case is called let your attorney do the talking because the court reporter writes down everything that everyone says and your statements can come back to haunt you in later court proceedings. Only speak if the judge speaks to you directly. People start forming impressions the second you walk into a courthouse. The deputies at the entrance may tell you you have to bring your pocketknife, camera phone or nail file back to your car after you waited in line for twenty minutes to get up there. Do not argue with these deputies as they have direct contact with the Prosecutors as well as the deputies in your courtroom. Bring in only essential items and stay polite. Sheriffs in the courtroom also may reprimand you for talking, sleeping, reading, cell phones, etc. and it is important to maintain your cool with them. Many work with the same Judge and Prosecutor every day and they are respected for protecting the courtroom staff, thus there is no need to cause them to speak against you to Judge or others. Probation or Compliance officers are paid to report to the Judge and Prosecutor your progress and status. Be polite as their words very often mean the difference between you being in jail, prison or free during your sentence. Many people contact the Richard Albanese Law Office and ask if a lawyer here can get their speeding ticket or criminal case “thrown out” or “taken care of”. Perhaps these ideas come from movies or TV, but in reality generally speaking the only way a case is dismissed is if a motion to quash an arrest is argued successfully and the State has insufficient evidence to proceed or if the case falls into a category of deferred prosecution. Cases are not just “thrown out” as police, prosecutors and the criminal justice system have a great deal of resources invested in a case coming into the court system. The success of a motion to quash arrest and suppress evidence depends on whether the police committed a violation of a person’s Fourth Amendment rights under the United States Constitution by conducting an unlawful search and seizure. This type of motion will often not be feasible to file unless the evidence supports it and the skilled defense attorney believes it will have a high rate of success. There is another option available in both Wisconsin and Illinois for the dismissal of cases known as deferred prosecution. Although the specific deferred prosecution programs vary state to state, county to county, and even village to village across Wisconsin and Illinois the overriding concept is the same, giving first offenders a second chance to keep a clean criminal record. There are generally written guidelines outlining the criteria for what crimes can be considered for deferred prosecution but the discretion whether to offer deferred prosecution always rests with the Prosecutor handling the case as they are the party bringing the charges forward. Deferred prosecution is never an automatic disposition and generally requires a knowledgeable defense attorney to negotiate for it. In both Illinois and Wisconsin there are statutory categories of cases including Felonies, Misdemeanors and Ordinance Violations that are eligible for deferred prosecution. Although not an exhaustive list, the types of cases covered include: Possession of Controlled Substance, Possession of Cannabis, Prostitution, Domestic Violence, Underage Consumption/Drinking of Alcohol, Retail Theft, and even Speeding Tickets for younger offenders. Generally speaking, when a deferred prosecution is offered to a defendant there is a requirement that the defendant complete remedial educational classes depending on the offense, treatment for drug or alcohol abuse, and in some instances community service will be required as well. If the defendant successfully completes the terms of what the Prosecutor asks for the case will then be dismissed with no further repercussions. This type of disposition is very favorable to first offenders who made a mistake and don’t want it to follow them as they enter the workforce applying for jobs. This disposition may also be invaluable to immigrants who are trying to become citizens of the United States as many criminal case dispositions can interfere with this process or result in deportation. The criminal justice system recognizes people often make foolish mistakes, not realizing the consequences of their actions and Prosecutors are not out to punish every citizen with the maximum penalties available in every case. Deferred Prosecution alleviates the number of cases a court has to deal with and truly gives defendants a second chance in the Criminal Justice System. Contact the Richard Albanese Law Office today to determine if deferred prosecution is available in your case or what other defenses you may have. A free consultation is available by calling (312) 882-1973. An Illinois and Wisconsin licensed Criminal Defense Attorney answers: What can I do if my son or daughter lives in Illinois but got a ticket or citation for underage alcohol possession or consumption in Wisconsin from the Kenosha County Sheriff at the Country Thunder Concert? An Illinois and Wisconsin licensed Criminal Defense Attorney answers: What are the consequences and options if my son or daughter lives in Illinois but got a ticket or citation for underage alcohol possession or consumption in Twin Lakes, Wisconsin from the Kenosha County Sheriff at the Country Thunder Concert or in the Country Thunder Campground camping area in 2017? I’m an Michigan Driver with a Speeding Ticket in Wisconsin, what are the consequences? A Wisconsin Traffic and Criminal Defense Attorney outlines the advantages of hiring a lawyer to represent you on a speeding ticket in Dane County, Madison, Kenosha, Racine, Lake Geneva and other locations in Wisconsin. Will Wisconsin speeding ticket points or traffic convictions transfer, carry over or be reported to my Illinois Driver’s License?